Unless you've been living under a rock, you would have caught at least a little whiff of the whole Throttlegate furore surrounding the much-maligned Qualcomm Snapdragon 810 processor. Almost as soon as it appeared in the LG G Flex 2, stories about thermal throttling – where a CPU's performance is scaled back to avoid overheating – started causing a stir. 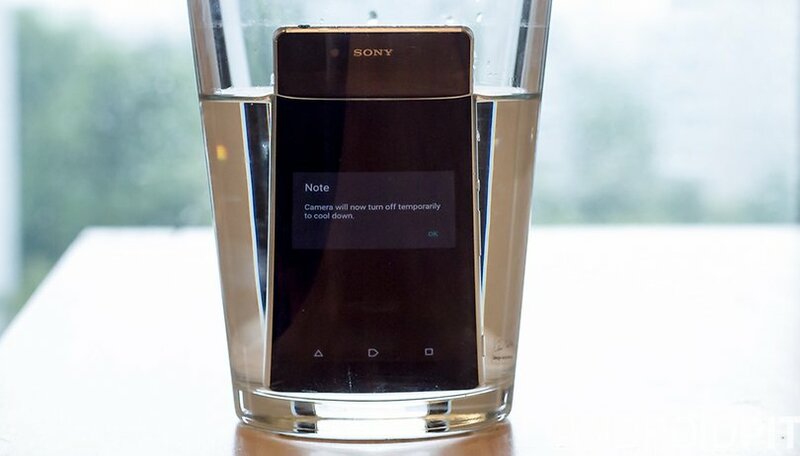 Then the HTC One M9 and Xperia Z3+ suffered overheating issues as well and the scandal hit fever pitch. So why did all this happen and who is to blame? Surprisingly enough, it's you and me. The second issue is our preference for materials that either don't disperse heat well, like glass, or that disperse heat well but feel hotter for longer, like metal. The third issue is the push for waterproof and dustproof devices which are, necessarily, watertight and therefore don't allow heat to escape as easily as might be necessary in order to keep CPUs cool. We wanted these things and the chip makers and manufactures tried to give them to us. It must be admitted that the Snapdragon 810 is one problematic chip out of many and is not necessarily indicative of all future chips. But it also must be acknowledged that the Snapdragon 810's problems are not entirely Qualcomm's fault. I spoke with an Nvidia representative earlier this year about the possibility of putting the insanely powerful X1 in a mobile device and how that would work in terms of heat dispersal. The response was that Nvidia's job is to make chips and it's up to the OEMs to figure out how to use them and avoid overheating issues. Fair enough. Considering chip makers like Qualcomm and Nvidia make semiconductors for a wide range of applications, including cars, games consoles and TVs, it's obvious that heat dispersal in larger objects is less of a problem. So if a phone manufacturer insists on sealing their phone and making it thinner than ever its no wonder the device heats up quickly. It's not entirely the OEMs fault either, but it's not entirely the chip maker. They're always telling us ''how closely they are working together'' and so must share the blame along with us for putting perhaps unrealistic demands on what we expect. Yes, we wanted the absolute best specs available, which usually centers around the CPU, and HTC, LG and Sony all tried to give us that. But they failed on their end to balance out power with performance. Perhaps Qualcomm failed to manage expectations or didn't provide enough warnings on the dangers of using such a chip in small mobile devices, or maybe the 810 is just a dud. Whatever the specific constellation of issues,we're all ultimately at fault to one degree or another. If the OEMs thought they could have gotten away with saying they used the 808 because it was a better option we all would have cried foul (indeed we did when the LG G4 opted for the 808 over the 810). The future is not all doom and gloom though. We're not stuck staring down the barrel of a future full of perforated foam devices with noisy fans whirring around to keep them cool or 2012-era specs sheets. The Samsung Exynos 7420 is a very high-powered chip that hasn't made any ripples in terms of heat due to its low-energy, ''insulated'' transistors so there are ways to do it right. The next major Qualcomm chip destined for mobile, the Snapdragon 820, is reportedly being shipped off to Samsung for manufacturing under the 14 nm process (the same process used for the 7420) for just this reason. So perhaps all this overheating business is a short-term phenomenon and the specs race can continue unabated for years to come. But perhaps we need to recalibrate our expectations from what we want in our phones. Perhaps we'll hit the heat ceiling as far as processing power goes because the side-effects are simply not worth it. After all, what's the use of a super-powerful chip if it is continually being throttled or apps are constantly force-closing? If we want waterproof and metal and glass phones to be the future then maybe power has to take a back seat for a while. Are you willing to live with that compromise? Probably not. We all want our phones to be thinner, faster, more powerful, cheaper, waterproof, feather-light, super-strong and look like they cost more than they did. It's just human nature. And the manufacturing industry is typically in the business of giving people what they want. Hence Qualcomm shipping off the 820 to Samsung, and HTC, LG and Sony taking a big hit in sales for not upholding their end of the bargain. On the positive side, we still have the conductivity and heat dispersal potential of graphene to look forward to, so don't get too worried just yet. We might just hit a few hiccups along the way. Would you sacrifice power for ''nicer'' materials and waterproofing? How much power do we really need in mobile devices? No mister. You cannot blame me for a misconceived device that is destroying itself in order to fulfill its specifications !!! For the features these new chips bring, could it be a nm problem? Maybe because samsung's , is built on a smaller process(14nm), than the 810(20nm), and smaller dissipates heat faster(at least as far as processors go), and with all the integration of previously separate features into one area, smaller areas produce less heat. I would like to see the 810, on a 14nm process, then judge. This may be the reason qualcomm's switching foundries(for the 820), from tsmc, to samsung, since samsung's foundry, has a mature process for smaller processes. "which are, necessarily, watertight and therefore don't allow heat to escape as easily as might be necessary in order to keep CPUs cool."